Splash & Play Deluxe Family Pool is great for the whole family to have fun outdoors paddling and splashing about! The family pool features extra wide walls made from durable vinyl which will help prevent water loss when climbing in and out of the pool. The 3 ring sturdy I- beam construction helps add stability to the pool when in use. 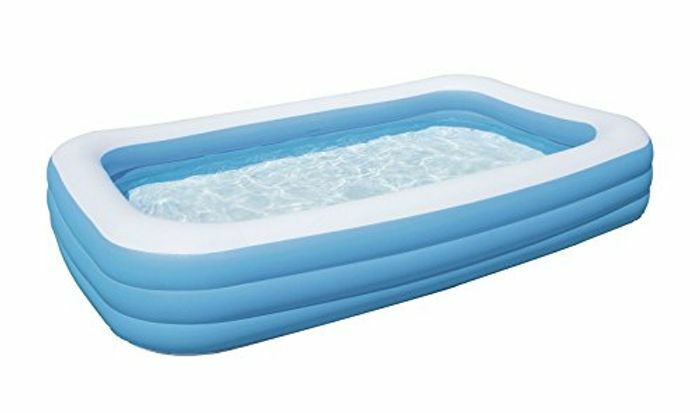 The pool is simple to inflate and (thanks to its quick deflation valves) is easy to deflate and store away after use. In case of any mishaps a heavy duty repair patch comes provided so you won’t be left feeling deflated for too long!